Seal kit is also available for servo valve. Seal kit is also available for servo valve 5290547 / 5290845. 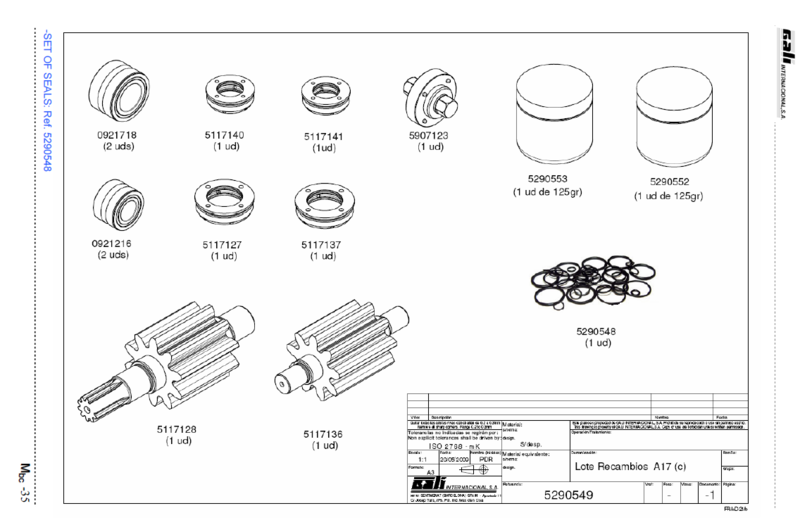 Please contact us if you have request for other parts and want to know availability of parts. As mention then is the A-15 starter no longer available but we have spare parts kits available for this. In case that major parts are defective then we recommend exchange the complete starter to an A-17. Installation of this new starter is quite easy. We have normally stock of the original Gali hose in case it is not a DEMP plant. Please send your request and we will look into it and revert with offer.